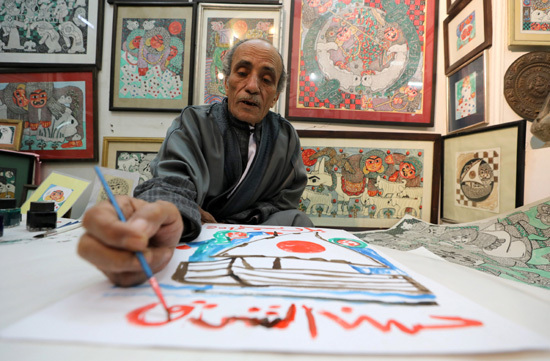 Egyptian artist Hassan el-Shark's paintings of village life, created from the mud, grass and leaves he finds around him, are treasured in Egypt for keeping a traditional skill alive. "The making of colours is a very simple process. I did not come up with it myself. I took it from the creator's world, from nature, a little from the mountains and the greenery, and then I made the material that fixes the colours," he said. "It is what makes a painting last for thousands of years." 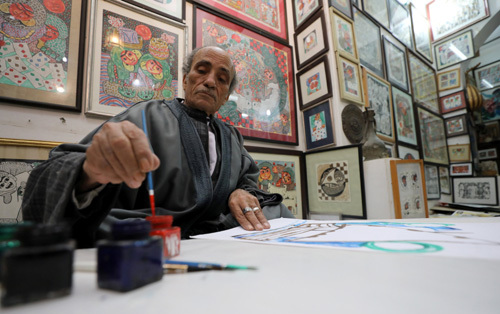 Mohamed el-Gebaly, director of Cairo's Kortoba Art Gallery, said Shark is generally regarded as one of the most important artists in Egypt. 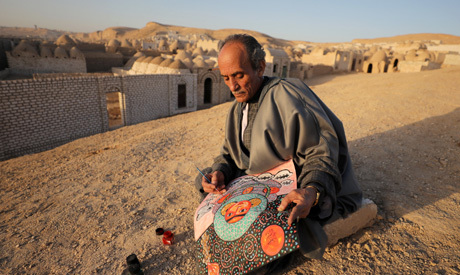 "He not only expresses the beauty of Egypt and the East, but he also represents a condition that we miss," he said. "He is reviving heritage. He is reviving things that we might have lost over the years."